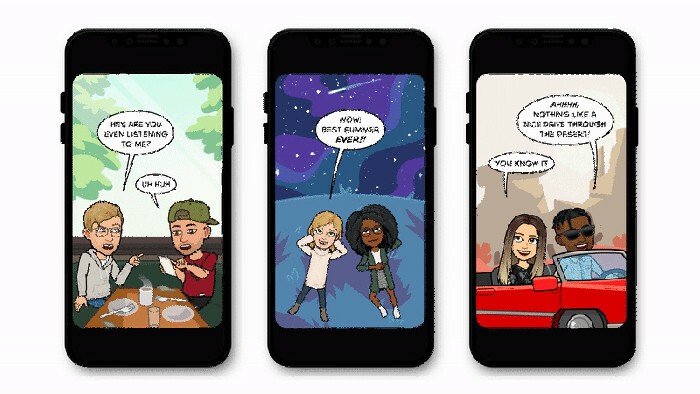 napchat Snapchat released Friendship Profiles and several other features such as Bitmoji Stories, and also Bitmoji Merchandise. Let’s find out how to use Snapchat Friendship Profiles, create Bitmoji Stories, and also how to get Snapchat Bitmoji Merchandise. 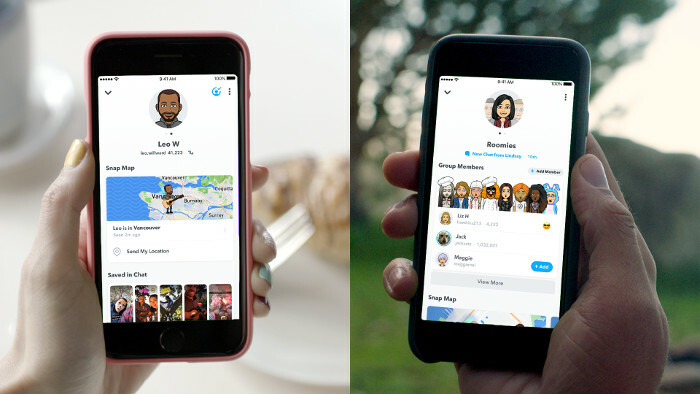 In the Snapchat Friendship Profiles, you can get all shared media such as pictures and videos that you have shared with your friends or groups. It can be assured that the Snapchat Friendship Profiles is the fastest way to get the highlights of your friendship. Snapchat Friendship Profiles will display a brief overview of everything you’ve saved in a private chat or group chat on Snapchat. Update your Snapchat app to the latest version. Go to Apple App Store or Google Play Store to get the update. Make sure that you and your friends are already connected and use Bitmoji avatar. To find your Snapchat Friendship Profiles, tap on one of your friend or group’s Bitmoji. The Snapchat Friendship Profile stores all images, videos, messages, or links that you’ve saved to chat. If you and your friends share location information, the friendship profiles will also appear on Snap Map. Along with the Snapchat Friendship Profiles, you will also find a new feature called Bitmoji Stories. As we know, in Bitmoji app you can make your own comic strip using your avatar. Snapchat includes this capability from Bitmoji with the release of Bitmoji Stories. The feature will provide a Bitmoji-themed Story to Snapchat’s Discover page. Bitmoji Stories will certainly look like a comic strip. Snapchat Bitmoji Stories can be personalized based on your activities and your friends on the Snapchat app. Bitmoji Stories will tell how you and your friends interact on the Snapchat app. The feature made by Bitmoji team and personalized to include your individual avatar. You and your friends will be able to see the same Bitmoji Stories. If you want one of your friends to appear in Bitmoji Stories, so have to chat with them more often because the friend who appears inside Bitmoji Stories will have to be chatted with the most recently. Wait a minute, the excitement isn’t over yet. Another addition to Snapchat Friendship Profiles is Snapchat Bitmoji swag or merchandise. 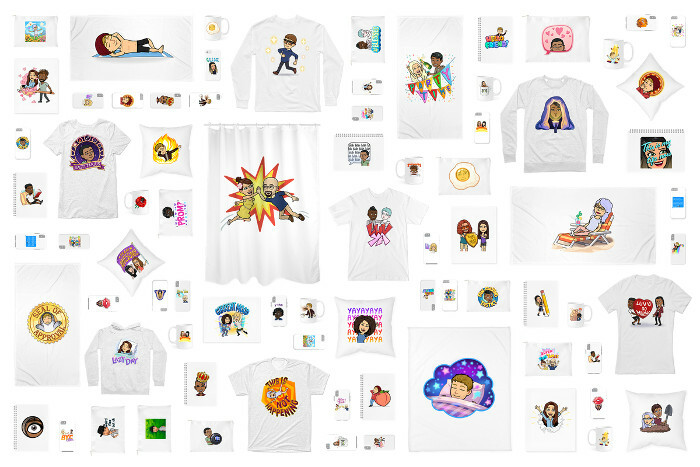 You can represent your friendship with your friends on Snapchat in a T-shirt, mugs, shower curtains, and phone cases. You can use a shirt with your Bitmoji image and your friends. Snapchat Bitmoji Merchandise you can get through Snap Store. You can access the Snap Store through the Snapchat app’s main settings. So that is how to use Snapchat Friendship Profiles, how to create Snapchat Bitmoji Stories, and how to buy Snapchat Bitmoji Merchandise or swag. Do not forget to let your friends on Snapchat also know about these amazing new features so you and your friends can be featured on Snapchat Friendship Profile.